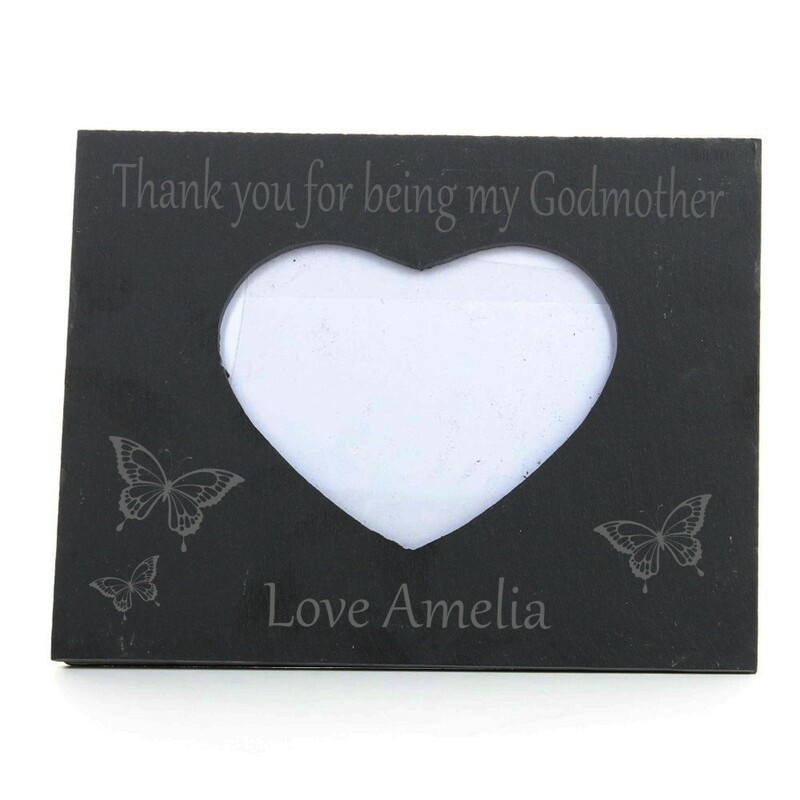 Engraved Godmother Heart Slate Photo Frame. Can be engraved with 'Thank you for being my Godmother' and the butterfly images as shown or you can have all your own text, just let us know the text you would like adding and we will get creating this special gift for you! A fantastic unique gift for your Special Godmother and as a thank you to them!